Some of these mappings are productions of the core project team. Over time, there will be others produced by individuals and communities focusing on their relationships with water. 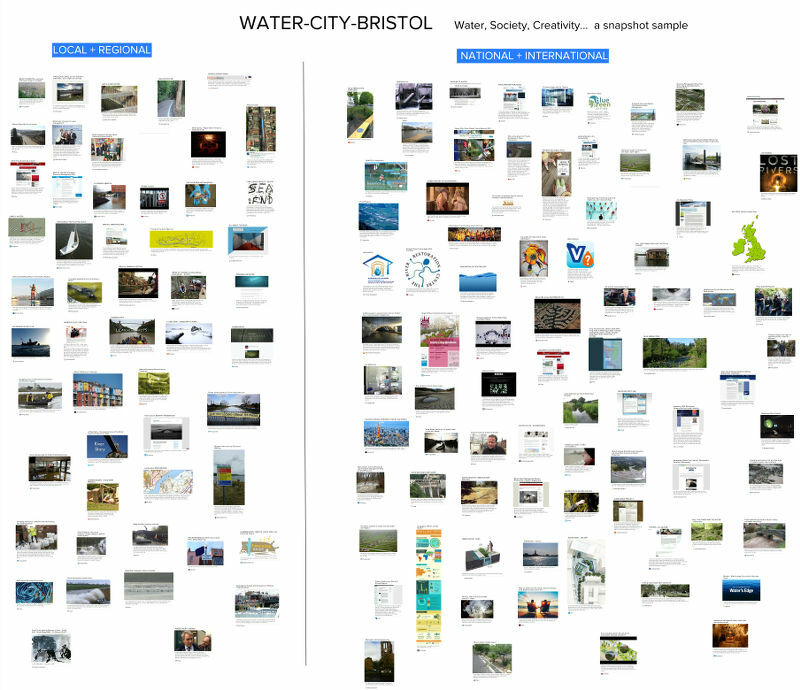 The Water City Bristol team, and the wider Hydrocitizens community are engaged in on-going conversations about mapping, some of which you can read about on this forum. The forms and methods of making/representing connections - through maps, network diagrams, meshes, practices of 'deep mapping', counter mapping etc. can all serve to shape our understandings of the world, and create new understandings. 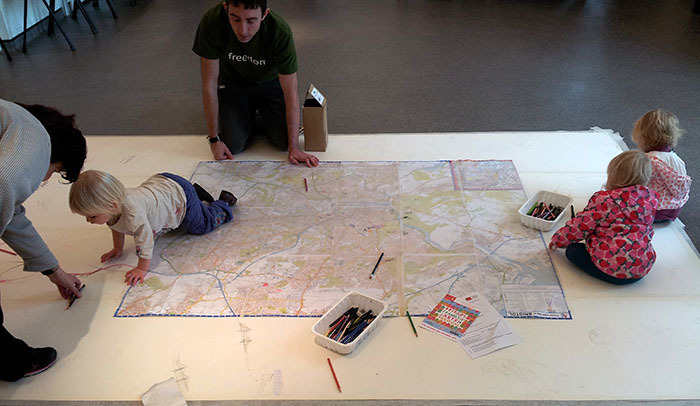 Through creative approaches to mapping we aim to reveal some richness of the relationships between people and water in Bristol. Above: The Big Blue Map of Bristol was created by Bristol City Council and shows both open and covered waterways in the city. Mural.ly mapping: The below assemblage is one of a series created by Antony Lyons of NOVA. The mural explores a range of water, society and creativity interconnections at the local and regional scale as well as national and international. Click on the image to go to the Mural.ly. Each of the images on the mural is a click-able link that will take you to a website with more information. Below is a mind-map created by members of the project team. The purpose is to illustrate (some of) the vast array of interconnected ways in which water is relevant to human (and non-human) life, and to show how these issues and connections are intimately connected to one another. Click on the image to be taken to the larger image file.